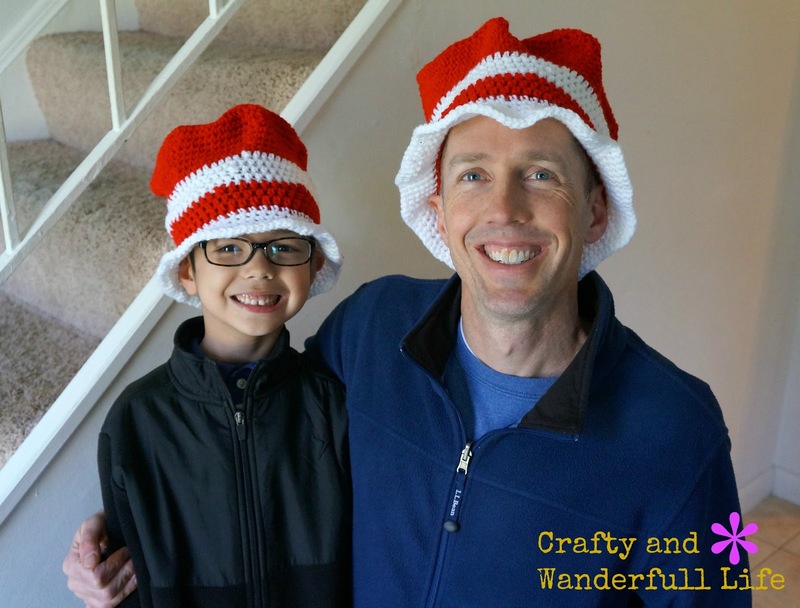 This week is Dr. Seuss week at my son's elementary school. Each day this week they're supposed to do something related to Dr. Seuss. Yesterday was silly sock day to celebrate "Fox In Socks." Today was Cat In The Hat day. They were told to wear cat hats if they had any. 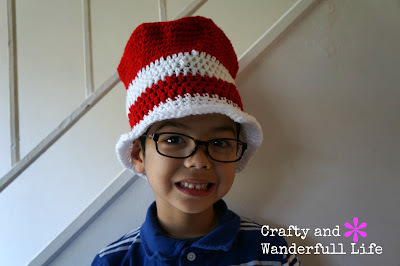 I thought it would be cool to crochet a Cat In The Hat top hat for my son to wear to school. I did a search on Pinterest and Ravelry. 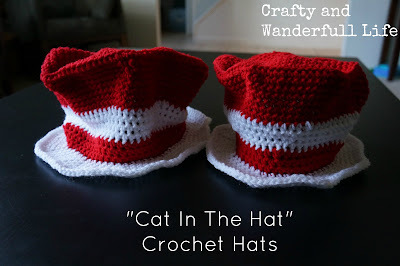 I didn't really want to pay for a pattern and didn't really have time to try and make my own pattern since I started making the hats yesterday afternoon. I found the "A Cat In My Hat" pattern by Snappy Tots on Ravelry and went with that. I opted not to include the ears and braids. I started with the Child/Teen/Adult pattern since my son is 6, but it ended up being too big for him. So, I gave that first hat to my husband. He's going to be reading to my preschooler's class this week and I thought it would be cool if he wore it for that. Then, I made the Toddler size hat and that fit my son better. His teachers liked the hat and my son loved wearing it to school.